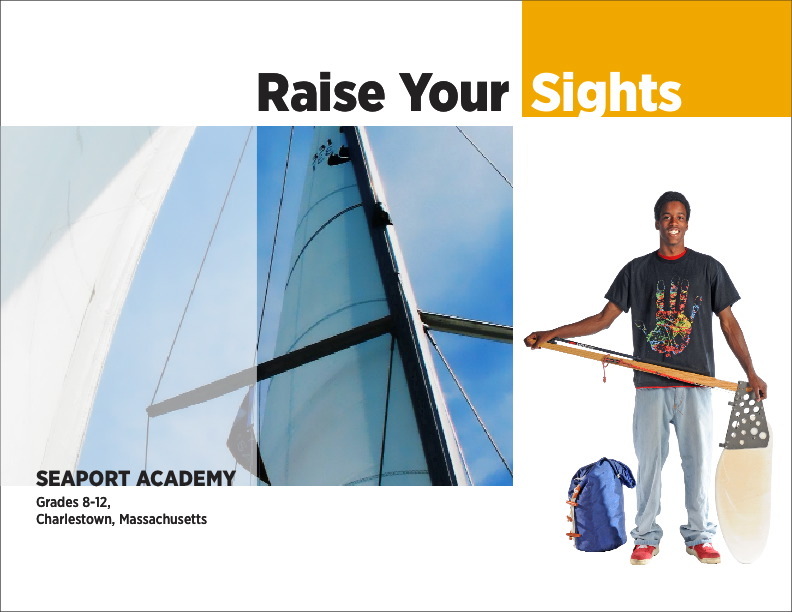 Seaport Academy is a small high school school—fewer than 40 boys—located in Charlestown, MA. They serve students with learning and emotional challenges who are not able to stay in their public schools. Our challenge with this project was to produce a piece that captured this tiny school’s extraordinary spirit, distinctive maritime character and project-based curriculum—and create something that would welcome and inspire students and families for whom the very idea of school has become something painful and difficult. Because so few pieces are needed each year, the piece is also designed as “print-on-demand” and can be easily updated as needed.